Finally The Indian National Congress Party admitted that Rahul Gandhi meet with Luo Zhaohui (Chinese ambassador) . And also conceded that Mr Gandhi also met with Bhutanese envoy and ex-NSA Shiv Shankar Meno. The Congress Party spokesperson Randeep Singh Surjewala, who had strongly denied with media reports about the meetings, made a u-turn and admitted. Sujewala added that many ambassadors and envoys keep on meeting time to time with Congress president and vice-president. While addressing a press conference Manish Tewari Congress leader slammed those who were targeting the party over the meeting. Mr Tewari added what ministers Prakash Jawdekar, JP Nadda and minister of culture were doing in China when Prime Minister met Chinese Premier at G-20. 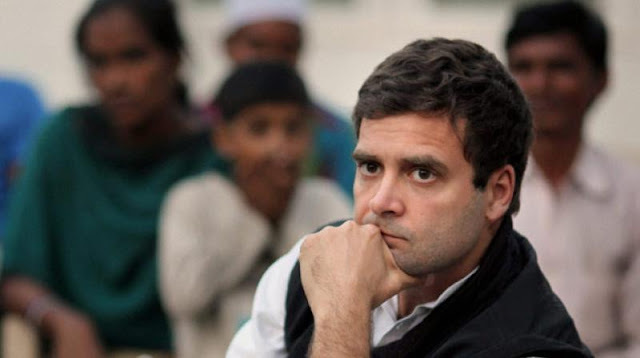 Rahul Gandhi said that it is his job to be informed on critical issues as he sought to defend his meeting with the Chinese ambassador amid a border row with China. He also took a dig at Narendra Modi saying he was not like the prime minister who was 'sitting on the swing' when Chinese soldiers were entering India.